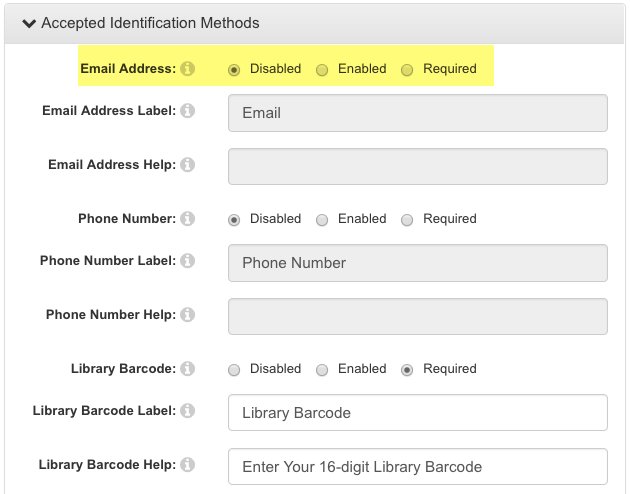 Email address is no longer required for event registration. Image Manager is now integrated with featured images. Event location displays on admin calendar for both Day & Week views. Turn on the ability to require category & audience fields. Next available button jumps the availability grid to the next available time slot. Space bookings have an optional opt-in email reminder. Create a brand new booking by copying booking form info. Confirmed bookings public page now has a date picker. These updates are coming the last few weeks of December. Learn more about this update on the LibCal: Way to Pay page. Important Note: As part of the December release, online payments will be rolled out to a select group of early adopters for final polishing. If you'd like to participate please drop us an email. Wide release to all LibCal customers will follow in early 2019. Cost/Payment Tracking for Space Reservations & Calendar Events - Define an hourly rate that acts as the cost of each Space booking and/or Event registration, and LibCal will calculate the total payment required to complete each reservation. LibCal will also keep track of who has and has not paid for each booking. Payments can be done online via credit card or in-person at the library. If the patron cancels a booking they paid for, they are automatically refunded the booking cost. Audit Log of Payment Activity - LibCal maintains a complete log of all payments (online or in-person) and refunds/cancelations - who paid and when, who refunded and when, so administrators have a full audit/compliance trail of all payment activity, right inside the system. Cost/Payment Tracking for Equipment Bookings - Coming in early 2019, we'll roll out cost/payment tracking to the Equipment Booking module. Learn more about this update on the LibAnswers: Show & Tell page. The screensharing & webinars module will have its initial release in late December, followed by a wider functionality release a month or so after. Backup Staffing: look for an official announcement early next year, but if you have questions - please let us know. Audio & Video Options - Optionally, you and the patron can turn on your mics and webcams to enhance the screensharing experience. It's not just backup chat... it's backup staffing help! Decide Your Own Coverage Levels - You're in the driver seat with what hours you needed covered and at which levels. Integrated SMS Notifications - We’re implementing SMS alerts for common notifications, such as shift updates, available shifts, etc. GPS Limiters for Clock In/Out - We're adding the ability to limit your staff to clock in/out within a range of a particular geolocation, so you can ensure that your staff are where they should be when clocking in and out for shifts using their mobile device. Updating Exchange Integration with OAuth - We're updating our Exchange integration to use OAuth 2.0, which should provide a more seamless connection between LibStaffer shifts and external Exchange systems. IP-Protected Guides/Groups - Results from IP-protected guides/groups won't display in search results. AZ/Databases - Small updates and fixes, including hiding a trial database when the expiration date passes. Accessibility - Added missing labels to all of the Google content types. LibApps Admin - When editing a profile, you can see a preview of that profile on the edit page. Certificates/Domains - If you change your custom domain to a new custom domain, that change is no longer immediate. Instead, we request and install a Let's Encrypt certificate for your new domain first, then make the domain change only when this is in place. Primo - We're adding two more customizable fields to Primo Search Sources for those who need to customize these (Scope, Primo Tab Name). LibAuth - We're adding support for OAuth 2.0 Protocol, as well as OAuth 2.0 connections via the Symphony ILS. COUNTER 5 Support - Adding support for COUNTER 5, specifically PR, DR, and TR master reports and several standard views. Faster SUSHI Fetching - With COUNTER 5 comes updated, better, and more lightweight SUSHI fetching. Circulation Dataset - Edit fields in a circulation dataset. Dashboards - Now possible to create Dashboard charts for LibCal, LibAnswers and LibGuides datasets. Accessibility - Reset button in widgets now correctly gets keyboard focus when needed. Custom Dataset - When uploading a file to a custom dataset, it's now possible for the user to require or NOT require that "Required" fields are populated.